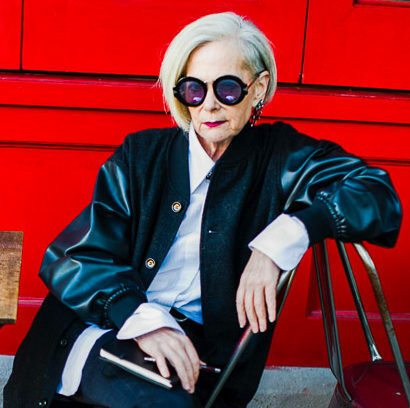 Lyn Slater, a university professor turned accidental fashion icon, talks about her blog for women who lead “interesting but ordinary lives” in cities. Can you tell me how you became the Accidental Icon? What did you do when they started to take photos of you? Did you pose? Have you had pictures taken of you before? How soon after this photo shoot did start the blog? 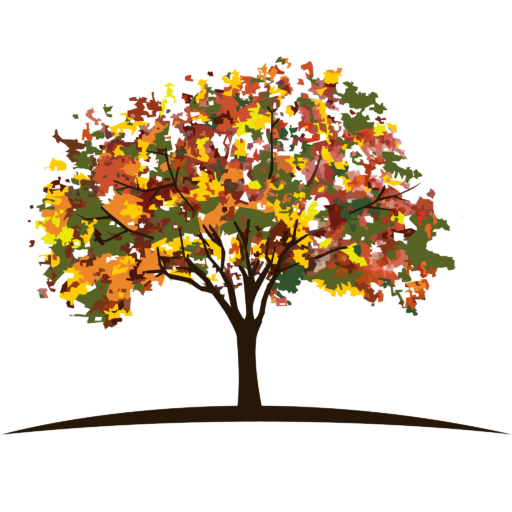 Did you have someone help you with the website? I think it is interesting that all the magazines that you have been in are from a different country, don’t you think that is strange? What did you mean about women in cities, opposed to women who don’t live in cities? Were you surprised that it became a business? And once it became a business, how did you adjust to it? What’s the most important advice you’ve gotten from someone? 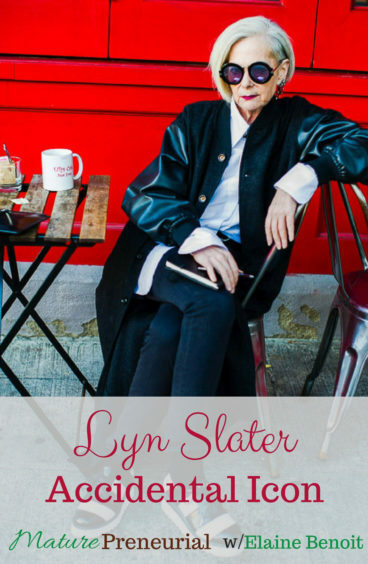 I luv lyn slater and really enjoyed this! She is one amazing woman full of contradictions and inspiration !!! Kat! I totally agree!! I had a blast interviewing her! Very enjoyable interview! 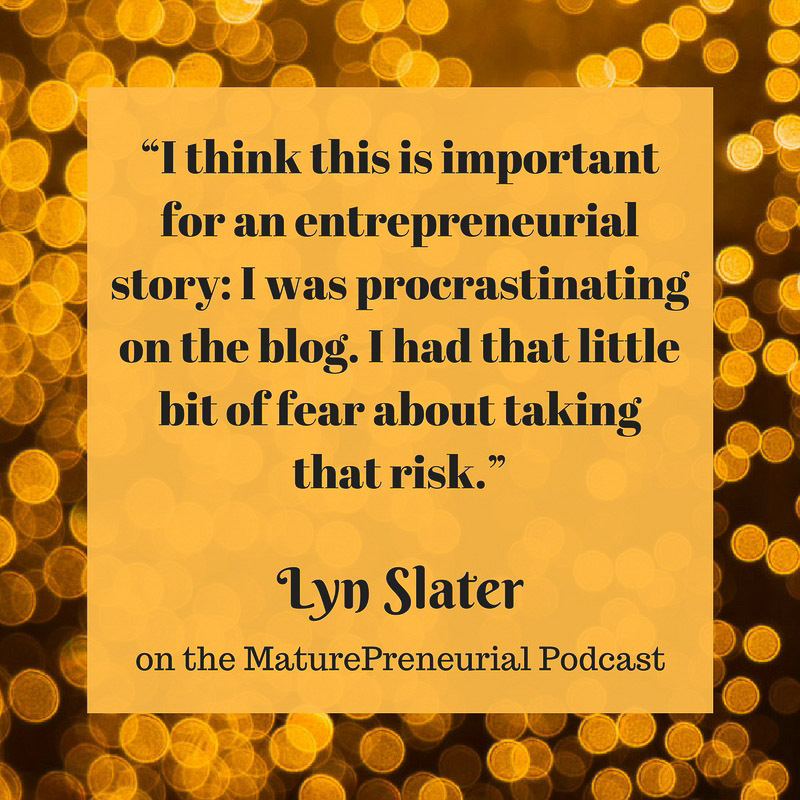 Great questions and I loved Lyn’s answers and story. She is awesome and an inspiration!! Thanks Robyn. Yes, I had a lot of fun with Lyn. She’s a classy lady!